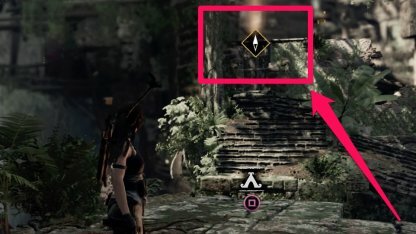 Read this Shadow of the Tomb Raider guide of Top 7 essential Beginner Tips to survive the game! 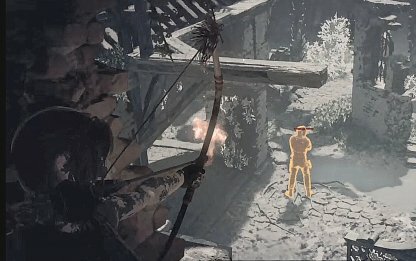 Use your skill points, Survival Instinct, the Bow, & more! 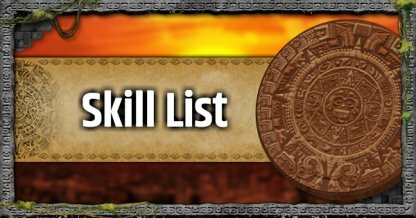 Choose skills that grant bonus EXP skills early in the game as they will help you gather more points to upgrade other survival skills faster. Use the Survival Instinct to check for curious marks to overcome obstacles & spot areas where you can climb. A height advantage lets you scope the area for resources, enemies, & your quest's direction. 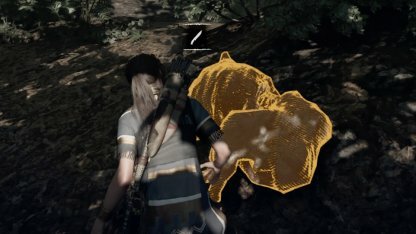 The general location of the enemy will be shown by an icon when using the Survival Instinct. So keep note of the location & plan a stealthy attack to take enemies down one by one. 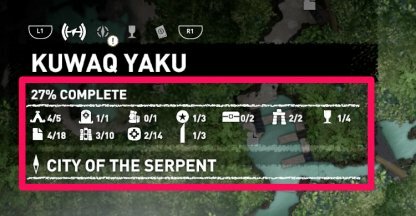 If you've lost track of the main quest, using the Survival Instinct will help you find your way. A compass will show up on-screen to lead you to the general direction of your next step. 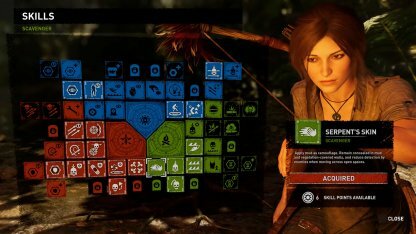 When using Survival Instinct, materials, artifacts, clues, & collectibles are highlighted on-screen. This will help you easily locate them, especially when hidden in obscure or hidden spots. 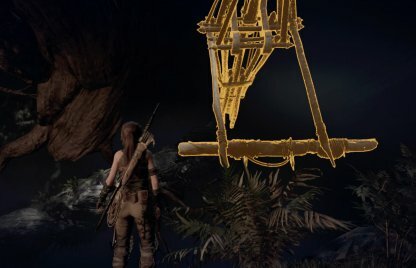 Lara's bow is a versatile & accessible weapon that offers many advantages, especially in combat. It silently shoots out arrows, making it a great weapon for any stealth plays against enemies. 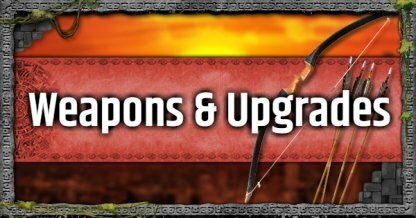 Over time, you can unlock upgrades to make your bow more versatile. 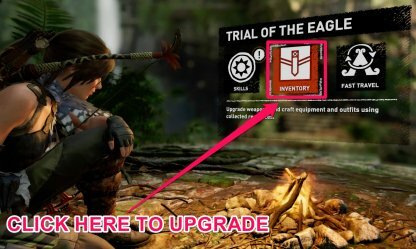 Be sure to keep upgrading it as some obstacles need specific arrows to move forward in-game. You can always come back & collect anything you've missed when you first visited any area, so don't try to get everything in your first run! 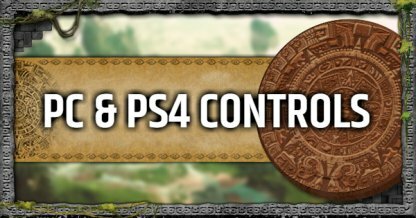 Challenges & Side Missions offer additional resources & upgrades. If you can't move forward in the main storyline, do some of them to gain more experience, materials, & upgrades. 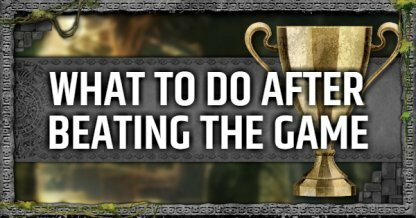 Check Out All Trophy / Achievement Guide! 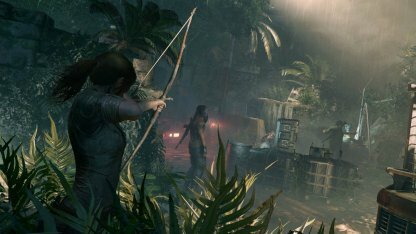 Challenges & Side Missions will also help you practice your mastery of controls & Lara's skills. 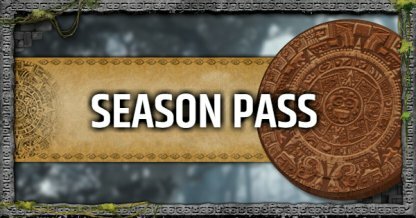 They can serve as a real training ground (with rewards!) to help you play better later on! 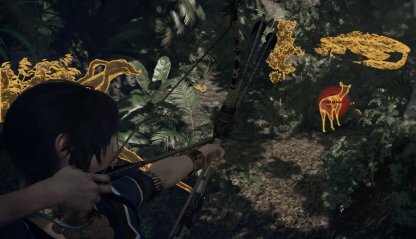 You will be able to earn generous amounts of XPs by hunting the numerous wildlife found throughout the jungle. 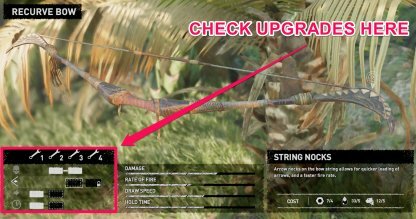 Hunting rare animals and predators will also provide resources that you may use to upgrade or restore newly acquired outfits. 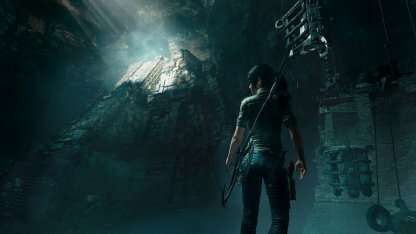 Through her adventures, Lara will gain access to numerous deadly weapons to aid her quest. 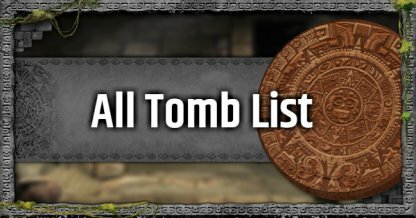 Remember to upgrade them at your nearest Base Camp to maximize their combat potential. 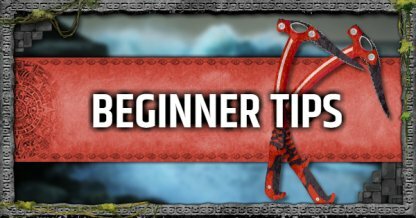 There are several attachments in game obtainable through Skill or merchants in settlements which will open up new function for your weapons. 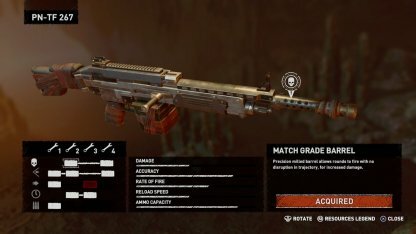 From Suppressors to Launchers, these attachments will surely help you in a pinch. 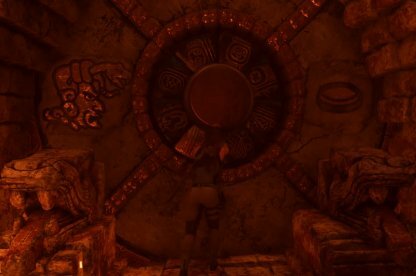 There are several Merchants located in certain locations throughout your journey. 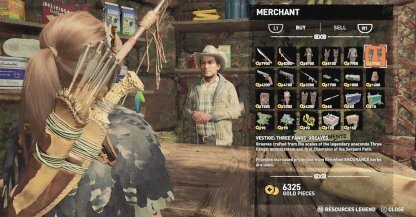 All of these merchants have different line-up of merchandises, each with unique and powerful upgrades to your arsenal. 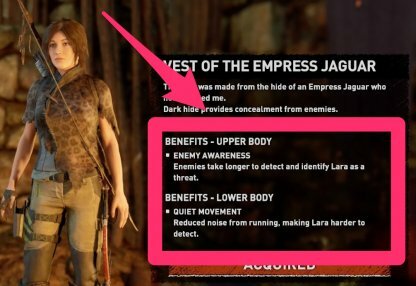 Certain Outfits have additional status bonuses that gives Lara combat enhancements or XP bonuses. Swap out these Outfits according to your situation and make use of them! 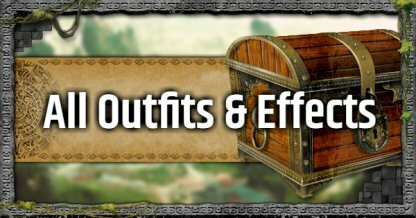 You may acquire additional Outfits from merchants, Crypts and Side Quests. 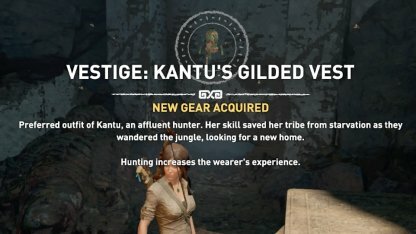 You will need to restore your newly acquired Outfits before equipping them, be sure to stock up on materials!